Saturday 18th June was the date for this years Queensland State Titles which was held once again in the Function Room of the Hinterland Hotel, which proved to be a great venue yet again. With 60 competitors in both Full and Non Contact events, we knew that we were in for a busy day, and the officials would be working hard once again. 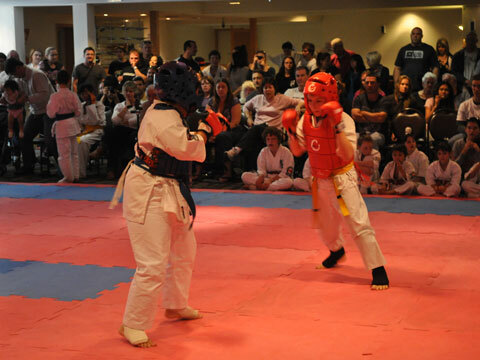 We used the same format as last year by inter mingling contact with non contact bouts. As usual, the smaller the competitor, the more the crowd cheered the fighters on. 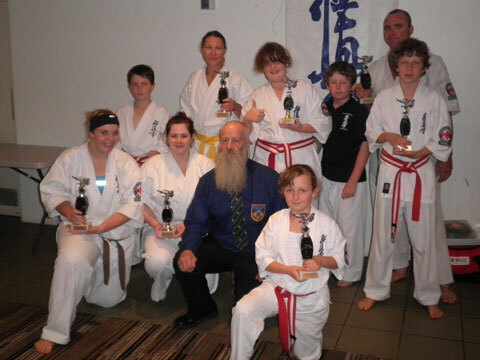 This years tournament was boosted along with fighters coming from as far away as Hobart (Tas) in the south, to Townsville in the north and Griffith in the west. There was also a competitor from Papua New Guinea who at the last minute had some visa problems and had to miss the event but he has said that he will be back next year. There was also a trophy for the Most Spirited Fighter. The recipient of this trophy is selected by the officials. 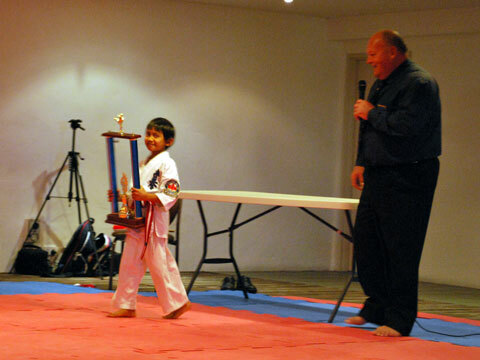 This went to Barry Pillado of the Ipswich Dojo, and at 20 kg he showed what this trophy was all about. In his last fight he gave away 10 kg to his opponent, but this did not deter him giving us a display of the spirit that founded Kyokushin Karate. This year we were fortunate to have some senior official’s journey to our tournament for the day. I would like to express my gratitude to them all. 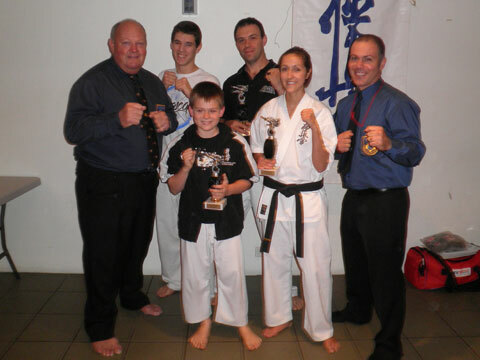 They were Sensei Jon Vokerts from the Bondi Junction Dojo in Sydney, along with Sensei’s Narelle Lovelle and Trevor Purcell of the Freshwater Creek Dojo in Victoria, and Sensei Frank Cirillo of Griffith NSW. I would also like to thank the Queensland Officials that gave their time to attend.